This was actually the THIRD pirate girl I illustrated, but since the second one was a specific contract for a poker chip design, this one is therefore only the 2nd for the "Mythic Beauties" series. Originally created for a t-shirt design, this has since been added here. 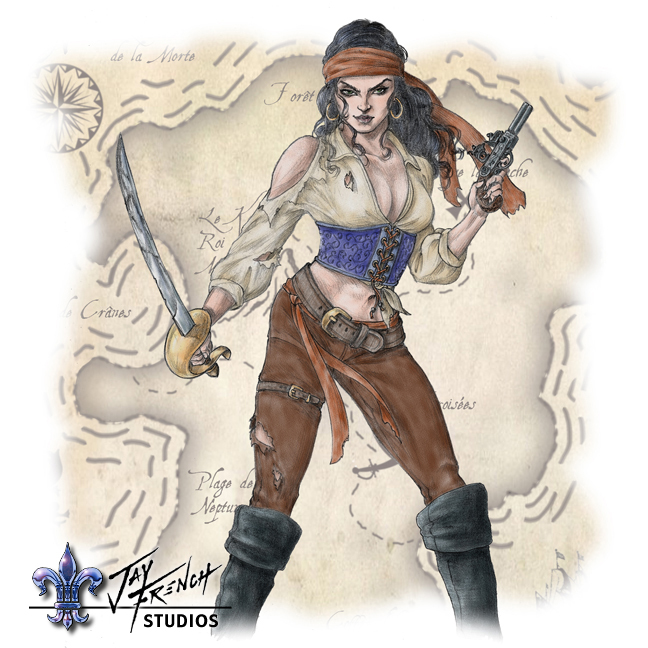 Click the image to view merchandise with "Pirate Girl 2"